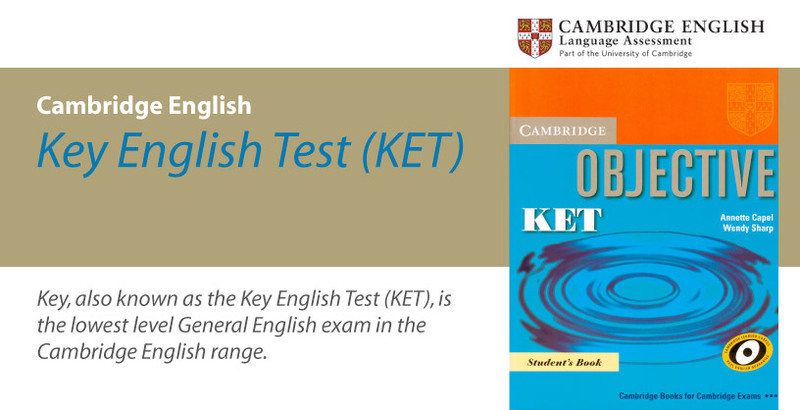 Key, also known as the Key English Test (KET), is the lowest level General English exam in the Cambridge English range. It shows that you can communicate in basic English in everyday situations. You should take the KET if you acquired English skills of Primary 6 to Form 2 levels in Hong Kong. KET (you should be able to): ask and answer questions about yourself and others understand announcements and instructions when people speak slowly and clearly tell people what you think about something you read or hear.